Two grants totaling nearly $3.7 million will support the efforts of The University of Texas Health Science Center at Houston (UTHealth) to combat obesity and help Texas children achieve healthy lifestyles through the mission of the Michael & Susan Dell Center for Healthy Living. The Eunice Kennedy Shriver National Institute of Child Health and Human Development of the National Institutes of Health has awarded close to $2.5 million to the center to evaluate the City of Austin’s implementation of Safe Routes To School (SRTS) infrastructure projects, including protected bike lanes, pedestrian islands, shared use paths, and pedestrian hybrid beacons. In 2016, Austin voters approved the city’s 2016 mobility bond, which included $27.5 million for SRTS projects. “This will be the largest evaluation of Safe Routes to School initiatives to date. Although several studies have previously been done, this will be among the most rigorous and comprehensive,” said Dr. Deanna Hoelscher, director of the center and regional dean of UTHealth School of Public Health in Austin. The City of Austin’s SRTS projects enable schools to develop programs and infrastructure improvements that make it safer for children to walk and cycle to school. “Our evaluation is vital because it will determine the number of children walking and cycling to school both before and after the Austin-area SRTS infrastructure improvements, as well as how this program increases child physical activity during the day. These changes will provide insight into the relative effectiveness and cost benefits of different infrastructure changes,” Dr. Hoelscher said. The evaluation of Austin’s implementation of SRTS projects is called the STREETS (Safe TRavel Environment Evaluation in Texas Schools) study. The study will be conducted over a five-year period, and will ultimately help schools identify the most successful and efficient methods to promote active commuting like walking and cycling. The second center project to receive additional funding is the School Physical Activity and Nutrition (SPAN) survey, which monitors the prevalence of obesity in school-age children in Texas. 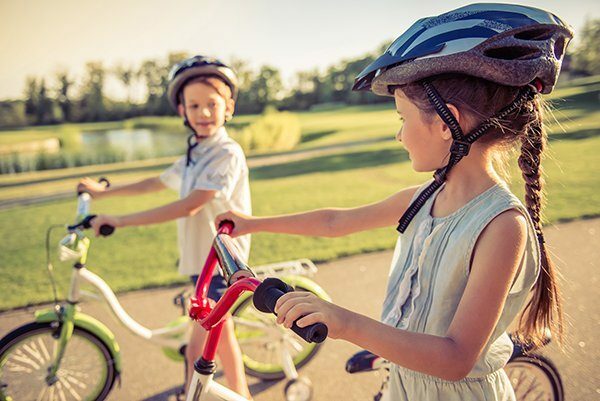 Recognizing the importance of continual monitoring of child obesity trends, the Texas Department of State Health Services has awarded more than $1.2 million to fund the 2019-2020 SPAN measurements. “SPAN is unique, as we are the only state to measure weight and height of children across different grade levels since 2000. This will be the fifth round of measurements, allowing us to identify trends over time,” Dr. Hoelscher said. January 25, 2019 "Saint Louis: Menstrual Hygiene Needs Unmet in Low-Income Women" January 25, 2019 "Iowa Alumna Named 2019 Rural Health Fellow"